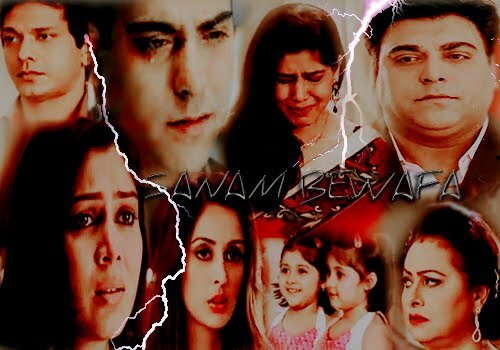 Priya tried all the years to forget ram but she could never do that. rajath came to the staff room to inform her that the seminar will be after two days. As his friend who is a youngest tycoon has some other work. Priya smiled on the word "youngest tycoon" she used to taunt ram. Later in the evening priya went out with cady and riya. Riya is a foodie like ram. They went in to a mall to find out some clothes for Riya for her birthday. Priya best stress buster is RIYA, Her chatter box. This is the thing that proves her as priya's daughter, rest all went on her father. Bahut bhook lagthe hai. She is a foodie too. Why not after all she is a Punjabi. Ghee, butter, pastries ,haan aloo parantha and many more.she like to try different food items. " maa am hungry" priya and cady laughted. ''Arrey priya.. ! isse kitna bhook lagthe hai. 1 hr back we had snaks and came "
" haan tho aap ki tarah nahi hu mein .. cady didi"
" Riya watch ur manners , di tum se badi hai .. say sorry"
They Spend good time and returned home . priya made cady study, Riya got instructions not to disturb cady. Next day Ram arrived, he checked in to his hotel. He settled there. He was free in the evening went to the mall. Cady's test is finish. Riya and cady went to playstation in a big mall. Ram went to the mall too. The same place has purchase division too . ram went there to see a play station for ram and ridzy [ vikram's kids] Riya and cady were playing 2 player game. Cady is winning all the time and riya is very upset. Ram saw both of them . ram came near to Riya.
" oh ..! ram uncle ur disturbing me. aap ki waje mein phir se haar gayi"
" sorry beta, may I help u "
" y u will help me.. aap hoti kaun ho "
" ok .. we can be friends to defeat ur did"
" haan beta.. chalo hum dono yeak team hai"
" ab deko cady didi " ram and RIya are a team and cady on other side ram and riya won the play. Riya was very happy she jumped in his lap and hugged ram tight, kissed him on his cheeks.
" ram uncle aap best ho .."
" tumaara naam kya hai beta.."
" riya" he repeated riya'? she left leaving ram behind watching her disappearing frame. Ram took riya and cady many chocolates. He felt a strange feeling meeting Riya. Suddenly riya nudged cady . they said aq quick bye to ram and left. He felt very sad. Riya made him think , if priya is with him he might have had a daughter like Riya. He felt a hand on his shoulder turned back and with a broad smile " haan brother .. after a long time" both hugged each other. They spent time with each other they moved on . cady and riya reached home . they were silent, as they were hiding from her. Priya went busy in preparing her class. "priya madam , there is a message from rajath uncle.. he asked u to be an hour before to look after the a arrangements. In the morning. " mumma good morning" priya kissed her on her head ,..
"mumma aap itne jaldi tayyar hogayi"
" haan iss dress mein karabhi kya hai" riya took a red and black sari's placed it in her hands.
" bilkul baap pe gaye hai ".. riya pulled priya down, hugged her and kissed her..
" love u mumma . ur world's beautiful mumma ko kisi ka nazar na lage.. she took kajal and kept tika at the back of priya's ear.. priya 's eyes become wet hugged her tight . Priya and riya went to college priya became busy in arrangements. Cady and riya was about to leave from college. Riya met rajath and ram. Cady and riya behaved as if they do not know ram infront of rajath and they rushed. Rajath had a urgent call and directed ram to his cabin. Ram was thinking why the hell the kids behaved as they do not know him. Riya ,..made ram think of his kids again he moved forwards thinking , who would it have been BOY OR GIRL . any one might be of riya' s age. Wil be like me or priya. Many thoughts came to his brain. Priya was running in the corridor talking on a phone instructing students about the seminar. Unknowingly they dashed into each other. When priya is about to fall ram caught her from falling. Ram stood still . priya picked her files and phone . fixing her phone she saw the image stood in front of her in black suit with waist coat , white shirt and red tie. The way she loved ram . she can hear only one thing from the person who perplexed on seeing her with tears in his eyes..